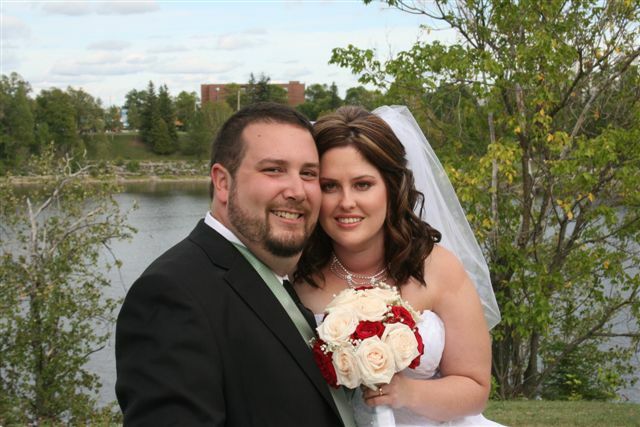 When Istarted to write this I had intended to describe the wedding that we had just attended in Kapuskasing, but then I realized that any one reading this would have probably been there. This is still about the wedding of my grand daughter, Maureen Palmer, to John Pope, but it is more my feelings than actually happenings. I had been warned not to say this , But—–its a hell of a long drive !! 10 hours to be exact, but we were with good company so it was an enjoyable day. We stayed at Comfort Inn , a very nice motel, the bed was so high I wondered if I could get in it, but I managed and had a good sleep. The restaurant we were advised to try was excellent, good service and good food, who can ask for anything more after 10 hours drive !! Friday night was for sleeping as when I poked my head in to see how Susie was doing, I realized that she was still very busy making up the flowers and as I was of no help in that department I decided to just sleep. The weather on Saturday morning could not have been nicer, warm, sunny, no wind and no BUGS, a delightful day for a wedding. Had my hair done and Tom and I walked around the “circle” looked at the market, sat on a bench in the sun and people watched (one of my favorite pasttimes). Stopped in at Susies later and she was still making flowers !! Had lunch at the nice restaurant again and then it was time to make myself beautiful, which takes a while ! Three o’clock was time for it all to start and we were there in plenty time to watch it all, and being “special” we were seated up front with a bird’s eye view of it all. Three flower girls, three bridesmaids, and then the main attraction, Maureen on Scott’s arm. Maureen has always been so sweet (remember who is writing this) but that day she out shone everyone. In a white puffy (I am not good at description) dress, made by my clever daughter, she was like a doll. John, with a smile as wide as a mile, was waiting for her at the altar. It was a very informal ceremony, songs sung by the groom’s family were lovely. Pictures were taken at a nearby park, and it always amazes me that there are so many beautiful people at a wedding. Of course the bride, groom and all their attendants were outstanding, the mother of the bride was so gorgeous her own mother didn’t recognize her (for a second), the groom was all smiles and so proud driving his daughter in his 1950 Plymouth. The recetion for about 190 people was held at the Knight’s of Columbus Hall, very nicely decorated for the occasion. Ryan, brother of the bride, was the MC and did an excellent job. He had written a song and he played the guitar and sang it to the lucky couple. Ryan and his cousin , Troy, played guitars and sang and were joined by John and Maureen . The meal was Chinese, buffet style, Yummy. There were cup cakes instead of wedding cake . Just arrived back from a trip to my home town of Gaspe, in Quebec and what an experience. Scott & Susie had everything ship shape, ready for the family to arrive. 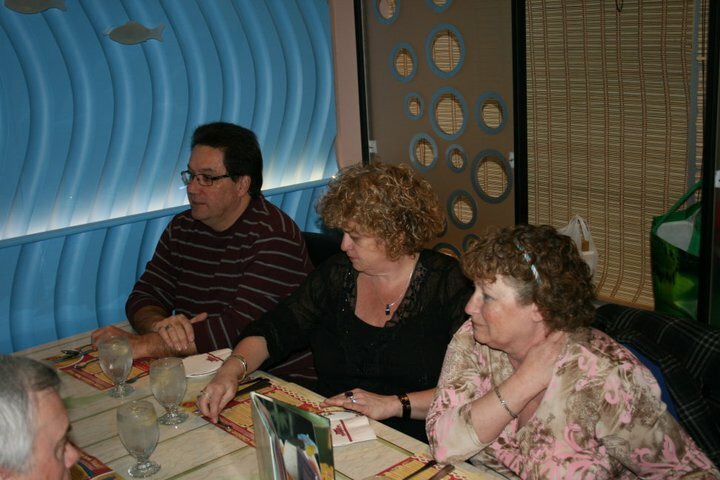 I was the first and got settled in before Greg & Mariette arrived, they had a wedding to attend that weekend. 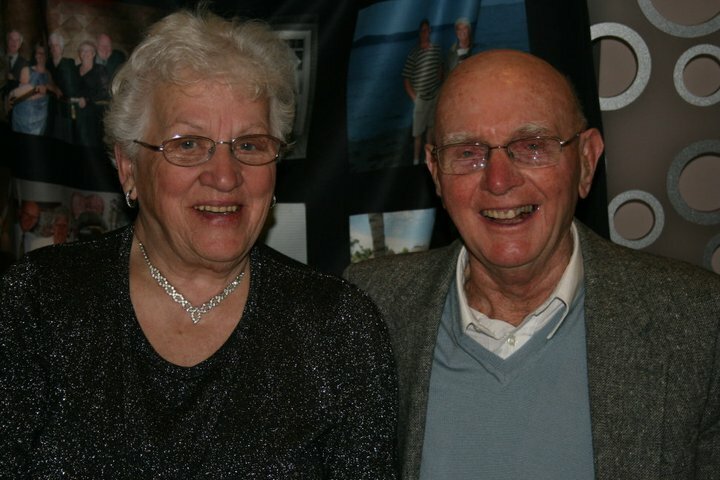 Next on deck was Fred & Judy from Dartmouth, N.S. later in the day, Gary & Lois came and had John & Maureen with them. Gary & Lois were able to stay at Manny Alexander’s house in Sandy Beach, Greg & Mariette bunked with her sister, but our beds were just about full at that time. One was reserved for Gerry who arrived with Scott MacLeod who stayed next door. In the mornings we would hear , “I am having a shower so do not use any water”. Of course I quite often forgot and turned on a tap and a scream would emit from the bathroom! But every one managed to stay reasonably clean through out the week. Feeeding eight plus people was no mean feat, but it was accomplished quite well with every one doing their part. Bologna was a MUST for one or two meals. I found that it was not the cheap meal it once was, but still delicious and a necessary one for Gaspesians from “Away”. Scott & Susie put on a fish dinner with pickerel from northern Ontario lakes and some cod from Gaspe. Sixteen people sat around two tables that night, enjoying the fish, good company and several bottles of wine. Susie had made her famous carrot cake for dessert and there were no left overs. One night we celebrated Judy’s birthday, and she requested blueberry pudding instead of cake. As we had some raspberries on hand, I made two puddings and a Johnny Cake for Gregory, served with molasses of course. Several of the crew had meals at Joanne’s (am not sure what the real name of the place is now, we knew it as Snowman’s, many years ago). Dixie Lee provided us with a meal also, so all in all everyone was well fed. One menber of the family gained 10 pounds and it was not ME! My sister, Phyllis, from N.B. ; Brenda from N.S. ; brothers Edgar, from P.E.I. and Francis from Ont all called in to see us. 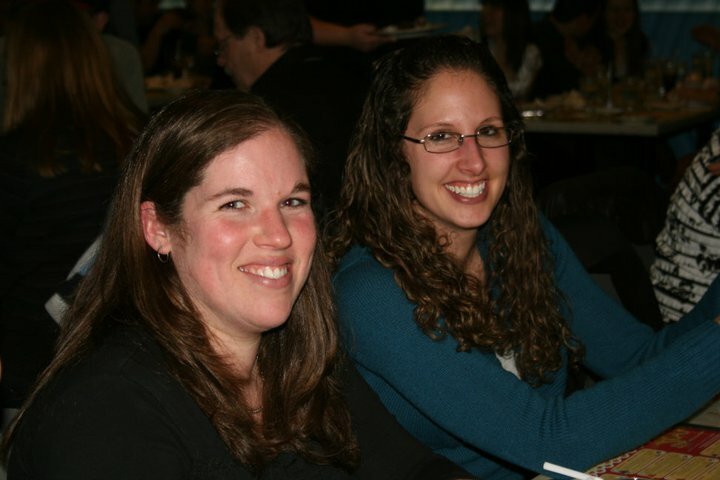 Also foster sister Elsie and her daughter, Dale Anne from Barrie were present. So nice to be all together. Many people dropped in to visit, always a joy to see friends. As 2 of the family members play guitar we had two sing song nights—one night there was 26 people singing and dancing the night away. My requests of “You are My Sunshine” and ” Home on the Range” were ignored, but I enjoyed it none the less. A most delightful evening. Then came the night of the party to celebrate my 80 years. I was completley flabbergasted when I saw so many people. It was heart warming to see so many familiar faces, from near and far. Made me feel really good. One of the suggestions to be happy and content as we age, is to have friends around, so I am very lucky to have so many to help me age happily! My children gave me many DVD’s of the Carol Burnett show which I have searched for for many years. I don’t often get “down” but now I can easily get out of a funk and go to bed laughing! Thanks kids, you may have lenghtened my life span as laughter is supposed to make you live longer!! After a week of togetherness, it was a real let down when everyone left the same day. But not to worry as Beth moved in with me for the reamaining week and we did a lot of visiting and playing cards which I enjoyed to the hilt. One day we went out for lunch and the dessert was called “Cherries on a cloud”, made by Linda MIller. It had raspberries and peaches instead of cherries, but I can truthfully say it was the best dessert I have ever tasted, and believe me I have sampled many ! Had home made beans at Linda’s & Waynes—delicious but deadly !!. The fresh vegetable dinner at Lorna & David Baird’s brought back pleasant memories of when I was living in Wakeham and had a garden. Sure was good. I have been a Mother for nearly 59 years. All these large numbers really astonish me when I see them written down ! I well remember the day I became a mother as if it was yesterday, and also the next four times I became some one’s mother. So even though I some times can not remember what I went upstairs for, I remember the important things in my life. To day was a really nice day, sun from the time I got up until I came down stairs to work at the computer. Yesterday I received a lovely vase of flowers from Freddie and his family. Today when I ate my breakfast I could look at these beautiful flowers on the table. Since then I upset them and decided to move them to a less active place ,now they are in my little room where I spend a lot of time, knitting or writing letters. There, they are less likely to get knocked over (I hope). Lois and Gary came Saturday afternoon and brought a gift certificate to our local nursery from Greg , Susie and Lois. We had a nice visit with them. Now I am looking forward to going to the nursery to pick out a nice garden ornament, along with some annuals to plant when it gets really warm. 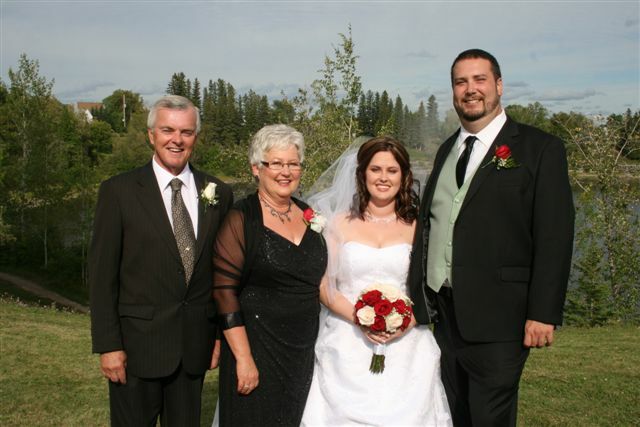 Today I had phone calls from Greg, Susie, Fred and Gerry (who did not realize it was Mother’s Day until late ), and also my step-son, Dave called to wish me a Happy Step-Mother’s Day. So, although it has been close to 59 years that I first knew the joys of mother hood, I am still reaping the rewards. According to the computer I am 29,220 days old, putting it that way makes it sound VERY old ! As I look back over those 29,000 days, I realize how fortunate I have been and what a great life I have lived. I had a great home with loving people, great friends , excellent neighbours, many happy teen age years, school years that I loved, marriage, then great children, grand-children and now great grand-children. So much fun along the way, travel to many places and now old age, a time to rest and look back on all the pleasures. February 27th was also Tom’s and my 20th anniversary, who would have ever thought we would make it to that number, the second time around. We started off the celebration of my birthday and wedding anniversary on Friday night when Tom’s son ,Rob, took us to the Old Mill in Ancaster for dinner. A most delightful evening of good food , nice music and conversation. The scene out the window was magical with water running and lights twinkling on the new snow, like a fairy tale. Saturday started out with a lovely bunch of flowers from Freddie and family in Dartmouth. Beautiful shades of purple, my favourite color. Then family started to arrive for an hour or so of chit chat before we headed out to dinner at the Mandarin (Chinese ) restaurant. Twenty -one family members arrived at the restaurant for a delicious dinner. It was so nice to see so many family members together, laughing and talking and enjoying each others company. 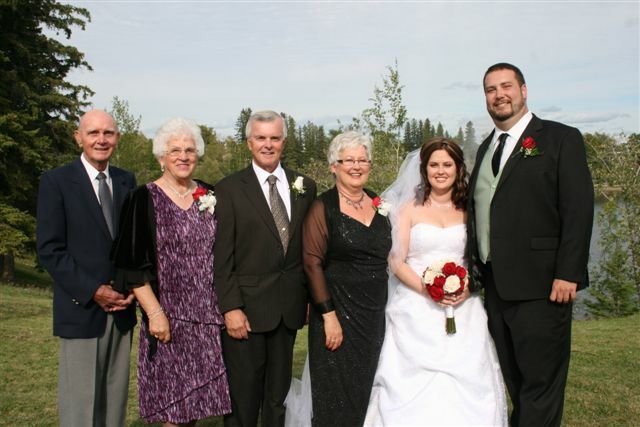 Children Gregory, Susie and Lois with spouses, Grand children Jason, Keri, Heather and Kim & spouses/partners, brother Francis and his family Melanie, Denise and spouses. 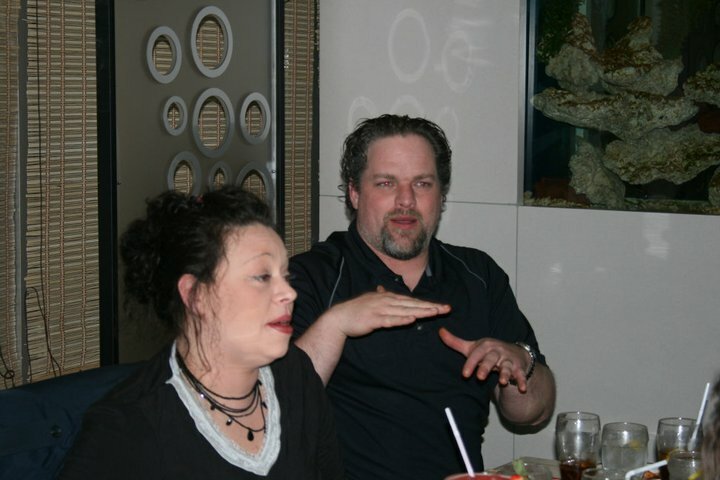 Unfortunately, my sister-in-law and good friend, Elaine could not be there as she was under the weather, we missed her. Along with many cards and phone calls from far and near my 80th birthday was a most enjoyable experience and looking forward to many more. Thanks to everyone who helped me celebrate. 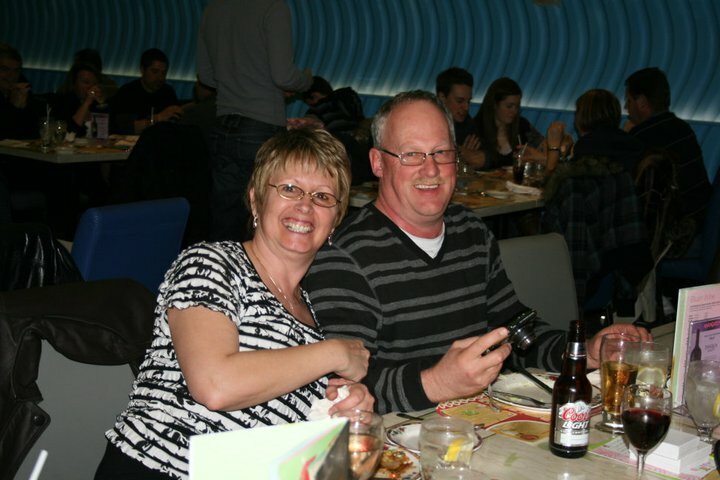 Here is a link to some more photos that were taken at the party. Christmas has come and gone for another year, I have just realized that I have been alive for 80 of them ! and still hope for a few more. We do not celebrate Christmas as I once did but it is still a nice time of year. We have a nice large tree which we trim with ornaments, many of them from our pasts. Tom has many that he has had on a tree ever since he moved to Canada, some made by his boys at school, all bringing nice memories . I just have three from the time in Gaspe as with all the moves many got broken along the way. I had one that was from Sidney’s child hood but sorry to say I broke it this year when I was putting it away. Christmas is a lot about memories as we grow older and so we spend time just thinking about all the good times we had. It does not mean that we do not enjoy today, but as in so many things , the past looks better than the present or the future. We were fortunate to spend Christmas Eve with my brother and his family for a delicious meat pie dinner. Friends dropped in later and we all sang carols and Christmas songs together. 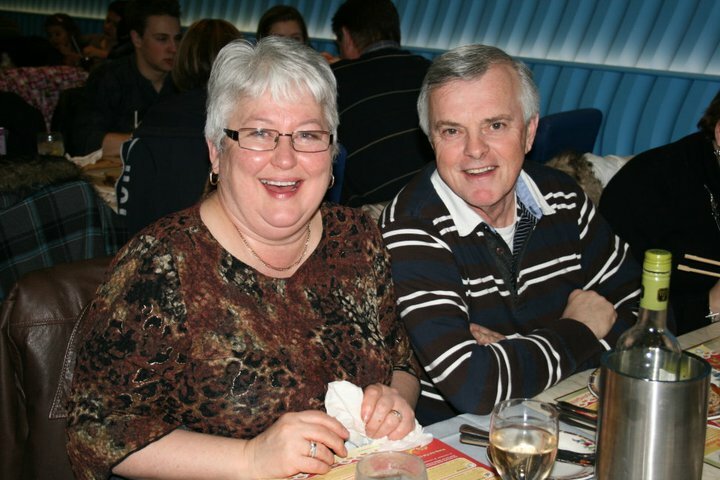 On Boxing Day we had the pleasure of seeing Greg, Mariette, Lois and Gary for some time and enjoyed a meal with them. There were the phone calls too from family , Gerry from France, Susie from Kapuskasing, Fred from Nova Scotia, Rob from Arizona, Dave from Newfoundland and Tom’s brother Alec from Scotland. How wonderful to be able to talk to family from so many different parts of the world. So, after 80 Christmas’ I am still here and all’s right with the world. An article in an old reader’s Digest caught my eye and I got to thinking about Christmas’ past and present. 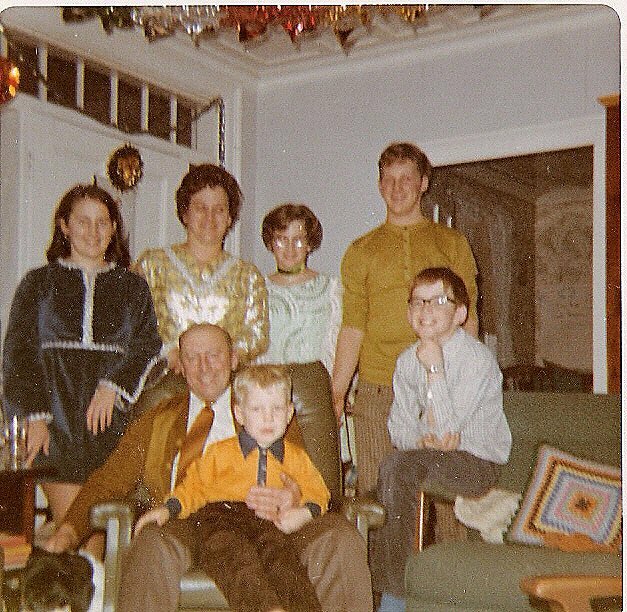 Christmas’, of my childhood, as with all children, were hassle free as all we had to do was wait for the Big day. Santa did not even play a big part in our Christmas , I never wrote a letter to the jolly old guy in my life. We were poor and knew enough not to ask for anything, we were happy with whatever came our way. I don’t ever remember of ever really “wanting” anything specific. My mother never seemed to be stressed with Christmas—but that was a word that was brought into our vocabulary long after my childhood. “Hassle” was a bit of a problem getting the chickens or cows to do what you wanted and they didn’t, not connected with Christmas. My mother would happily bake and prepare all manner of food for the people who dropped in at that time of year, knit or sew gifts for relatives, decorate the house and tree, all in apparent calmness. She never seemed to need an article in a magazine to tell her how to cope. But—–after I had children and understood what stress meant I had lots of it—-and loved every minute of it. We did not have much money but some how or other money seemed to stretch five different ways at that time of year. The planning, baking, shopping, wrapping, decorating, cleaning, visiting and having people in may have been a hassle to some people, but I enjoyed it all right up to New Years when things started to get back to normal again. The more I had to do the happier I was, I would put 10 records of Christams music on the record player, sing along with Bing and all the rest having a great old time. I am sure there were times when I was cranky with the kids—like the time Susie chased the cat behind the tree and knocked it down! or when they got up at 4 in the morning looking for stockings. Mostly though I remember the good times, a time in my life that can never be recaptured. A little stress and a lot of hassle produced a Great Christmas. On December 8th I boarded the Ontario Northland train headed for Kapuskasing to visit daughter, Susie and family. 15 or so hours later I arrived into a winter wonderland. Not a lot of snow by their standards but the ground was covered, making it look like Christmas. Very cold too! As it was so very cold, I did not go out much. Rather just sit and knit so finished a Christmas stocking for Vero, did a pair of socks for Ryan and a pair for Maureen, plus three toques. One after noon Susie and Scott, along with friends Mike and Joanne, decided to get a tree—-NO—not in the Canadian Tire tree lot, but out in the bush. Dressed up like a lumber jack I agreed to go with them. They drove 100 kms along off roads and while I saw a hundred trees that I thought were ideal, they voted them down as they HAD to have a balsam fir. Of course not knowing one tree from another I was no help in picking one out as we drove. Just before dark (and I am sure we were lost) they found one, and only one. We had made a complete circle and came in to Kapuskasing from a different direction so that I had no idea where I was! Susie and Scott repeated the performance the next afternoon (while I sat at home!) and found one in 2 hours. How much simplier it would have been to buy an artificial one, but then I would have had nothing to write about ! My grand daughter, Maureen, celebrated her 30th birthday while I was there. Her mother had supper for her with her boyfriend John and his parents. Susie made a caramel cake which was delicious. John and Maureen also had bought a house so I got to see it one afternoon. One evening we went to a Christmas concert put on by The Jubilee Singers of Kapuskasing. Very enjoyable. The next day I made the long journey home to Burlington, and even after 31 hours on the train and bus it was all worthwhile. Last Saturday evening, thanks to my friend Jackie, I attended a fiddle concert at a local church . The main man was a champion fiddler of Ontario. His band consisted of his mother on the piano, sister on fiddle and piano accordion, niece on drums. Other members were a gentleman and lady singing and a young talented 16 year old who played fiddle, guitar and stepped danced like no one I had ever seen before. It was a most enjoyable evening. On Nov 11th I attended the Rembrance day dinner at the local Legion Hall here in Burlington. There were four tables of former Gaspesians so a lot of conversation during the evening. 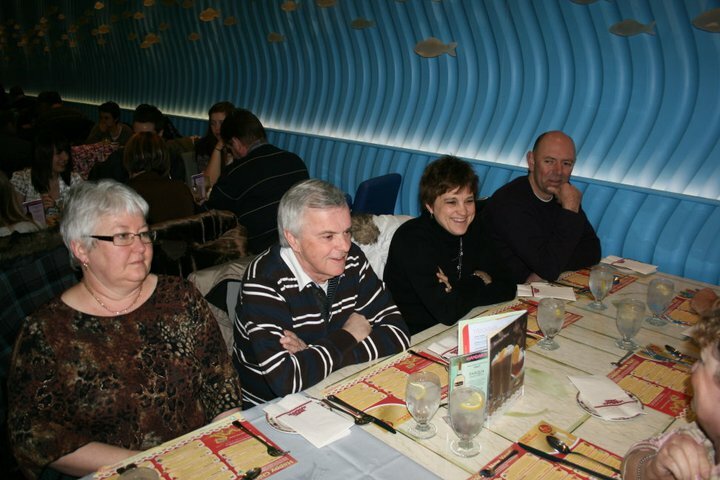 I sat at a table with Kingsley Miller, his brother Russel and wife Merilyn and Billy Boyle. Kingsley talked to me about his war time experiences which I found very interesting. A delicous dinner was served by Cadets , several dignitaries had things to say, all contributing a most delightful time. To end the week off I went to my daughter, Lois’ in Kitchener. We picked up my great grand daughter,Breanna, had dinner out and then I took her to buy her Christmas gifts that she was giving . I allowed her a certain amount of money and explained to her that she had to keep her spending within this amount. She did very well and she even had some left over for herself. I was amazed at what she wanted to buy her mother and her sister, a very considerate little girl. I was taken aback when she mentioned a credit card !!! At 8 years old I would think she would have no knowledge of these cards and I did my best to explain to her that they were not a good thing, but I am sure it went in one ear and out the other ! Today I got to spend some time with another great grand daughter, 3 years old and very amusing. Then to top my week end off grand daughter Keri brough her little 4 month old Leland to meet his great grand mother for the first time and I got to hold him all the time he was there. A nice week.